Hey friends! 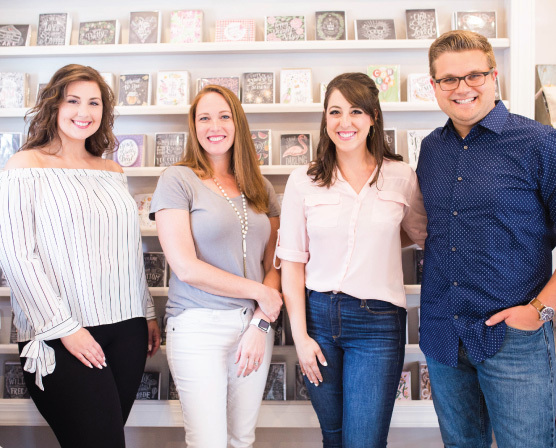 It’s been over a year since the launch of my Intro to Chalk Lettering Online Class with Brit + Co, and since then, I’ve heard many requests for a next level class! The time has come! I’m thrilled to present to you- Intro to Chalk Illustration! Throughout the years, my style has developed into pieces contains lettering + illustrations. The illustrated portions are a big part of what I do and I love the texture chalk provides to these drawings! In this course, I will show you how to draw one of my absolute favorite things- flowers! They may look intricate, but I promise you can do it! Although the course is designed as a “next level” chalk class, it will cover all the questions you might have as a beginner. We’ll cover basic design principles, how to draw flowers, and how to add depth to your designs. Each lesson will also reveal a few tips and tricks for working with chalk. Apply design principles to plan a balanced and cohesive illustration. Sketch multidimensional flowers that have texture and depth. Add focal points and floral fillers to create a complete piece of chalk art. I can’t wait for you to dive in with me!! This class is on demand! After purchase, you will be directed to the class for you to watch wherever you are and at your own pace. It’s yours to come back to again and again! Also, we’re holding a class giveaway for a limited time! A Chalk Lettering Tool Kit from Lily + Val. Two Brit + Co classes of your choice. Three winners will be chosen at random on 9/19. I absolutely cannot wait to see what you create!! Please be sure to tag me on Instagram @valeriemckeehan so I can see! Happy chalking, my friends! Enroll for Intro To Chalk Illustration Online Class!